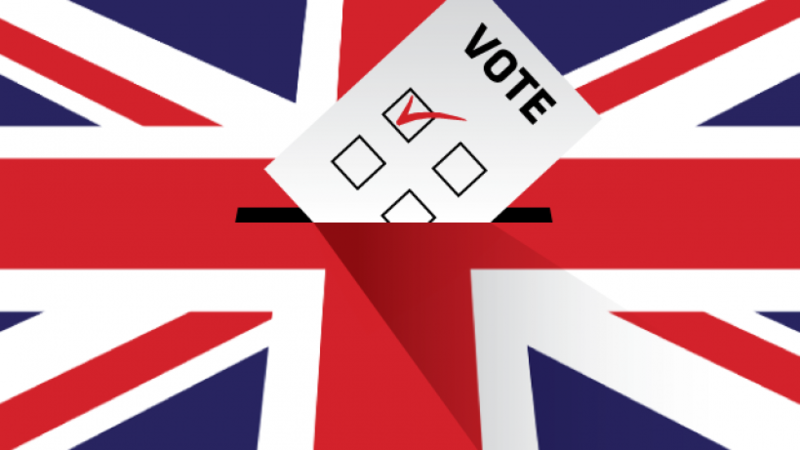 As you all know, the UK General Election will be held on the 8th of June. It is important because the results of which will dictate the direction that the country will take when it comes to approaching Brexit. But how will it impact you, as an international student trying to find a job in the UK? At present, the immigration climate in the UK is already harsh. Only 2% of international students are able to secure a Tier 2 visa sponsorship and continue to live and work in the UK after their studies. In order to get a clearer picture of how the immigration situation will change after the votes have been cast, we will be laying down the immigration stance of each of the 3 major parties: Conservative, Labour and Liberal Democrats. According to the latest polls, the Conservatives are leading at 44.2%, followed by Labour at 35.8% and finally, Liberal Democrats at 7.9%. MAC to be instructed to conduct another consultation as to how the Visa system can better work for business and industries that have skills shortages. Doubling Immigration Skills Charge from £1,000 to £2,000 per year of a migrant's employment, and an increased cost of £3,000 for big businesses. Reducing net migration to tens of thousands, which is impossible. At best at a figure of 200,000 would be borderline damaging to the UK economy. Note that international students alone contribute roughly £25 billion to the economy. "Increasing the earning thresholds for people wishing to sponsor migrants for family visas." Previously MAC had decided that Tier 2 Dependents would not be touched, but there may be some form of new minimum salary requirement imposed to reduce the number of dependents who can be tacked onto a migrant's work visa. "We will toughen the visa requirements for students, to make sure that we maintain high standards." The new Education Bill may rank institutions in terms of academic excellence. "We will expect students to leave the country at the end of their course unless they meet new, higher requirements that allow them to work in Britain after their studies have concluded." This can be in the form of salary, academic qualifications or more stringent English testing based on current requirements for the Tier 2 Points Based Systems. "Overseas students will remain in the immigration 55 statistics- in line with international definitions- and within the scope of the government's policy to reduce annual net migration." The IHS would increase 300% for students and migrant workers- from £200 to £600 for migrant workers and from £150 to £450 for international students. Prioritise growth, jobs, and prosperity over "bogus immigration targets" and honour the spirit of international law and obligations by taking in a fair share of refugees. "Labour will not scapegoat migrants nor blame them for economic failures." "Working together, we will institute a new system which is based on our economic needs, balancing controls and existing entitlements." This may include employer sponsorship, work permits, visa regulation or a tailored mix of all these, which works for the many, not the few." "Labour will crack down on unscrupulous employers. We will stop overseas-only recruitment practices, strengthen safety at work inspections and increase prosecution of employers evading the minimum wage." "For areas where immigration has placed a strain on public services, we will reinstate the Migrant Impact Fund and boost it with a contributory element from the investments required for High Net Worth Individual Visas. Labour will restore the rights of migrant domestic workers and end this form of modern slavery." Ensure that the immigration system is operated fairly and efficiently, with strict control of borders, including entry and exit checks, and adequately funded Border Force policing of entry by irregular routes. Hold an annual debate in Parliament on skill and labour market shortfalls and surpluses to identify the migration necessary to meet the UK's needs. Continue to allow high-skilled immigration to support key sectors of our economy, and ensure work, tourist and family visas are processed quickly and efficiently. Recognising their largely temporary status, remove students from the official migration statistics. Ensure the UK is an attractive destination for overseas students. We will reinstate Post-Study Work (PSW) visas for graduates in STEM (science, technology, engineering, and maths) subjects who find suitable employment within six months of graduating. Those might be quite a handful to process, so here is a summary of how each party intends to approach migration. Conservative is ardent on cutting down immigration by tens of thousands, doubling immigration skills charge for those in need of employment sponsorship, and expect international students to return to their home country after their studies. Overall, it will set a more challenging backdrop for immigrants. Labour is taking a more neutral stand, proposing a new immigration system which “may include employer sponsorship, work permits, visa regulations or a tailored mix of these.” The execution of such remains vague and uncertain, though efforts to remove international students from net migration figures is commendable. Liberal Democrats have very promising plans, most notably bringing back the PSW visa for graduates in STEM subjects. However, with the party’s 7.9% polling average, it is very unlikely that LD will win. SWe have the interests of the international student community at heart here at CIUK, so regardless of the results and the future immigration challenges that may arise, we remain committed to helping you find the best graduate jobs and securing a Tier 2 visa before your current one expires. To know more about the next steps you should take, you can book a free 1:1 consultation with one of CIUK’s expert consultants in our new Bloomsbury office. Just send your CV to hr@careerinteractive.org with the header, “Facebook”. To find the right program that could guide you best in your job applications, register to CIUK's platform today.